Time slows down between applying to Clarion West and getting your notice of acceptance or rejection. But if you are accepted, then time accelerates. Into Warp. We were allowed to share news of our acceptance on April 2nd, so I made the mistake of postponing fundraising until April. 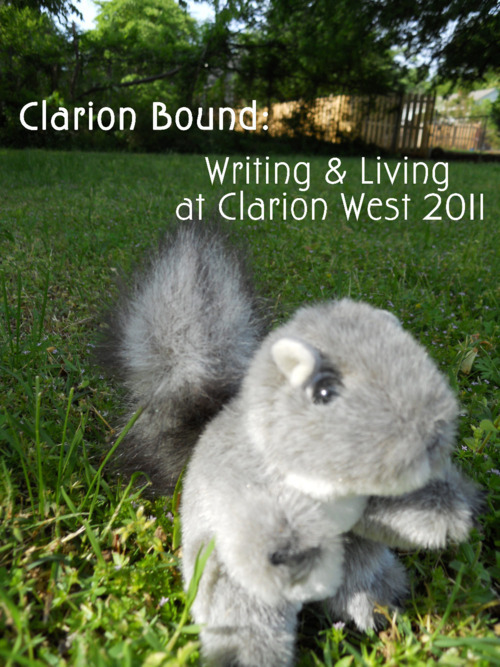 Then my day job became really busy, and now it is almost the end of April, and I’m just getting started finding ways to raise the funds for tuition, airfare, and living expenses while at Clarion West. Here’s a kickstarter project by one of my classmates. And another of my classmates is making an amazing, beautiful statement of just how much this workshop means to her. In the next few weeks I plan to hold a yard sale, a bake sale, and apply for a loan in case all else fails. But today I had some fun. I went out into my backyard and made a video for my kickstarter project. You can watch it here. I have no idea if this will work at all, but it seems like a good first step.